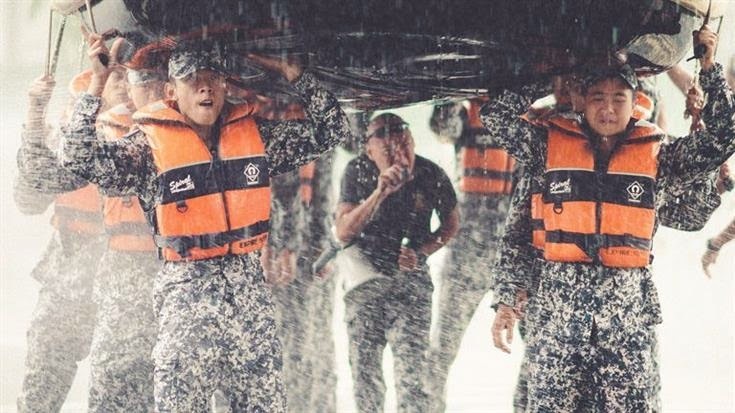 Newly released in cinema, Ah Boys to Men 3: Frogmen (新兵正传III：蛙人传) is the latest production by Jack Neo (梁智强), the mastermind behind the globally-renowned Singaporean movie "I Not Stupid (小孩不笨)", "Money No Enough (钱不够用)" and many more. Actually the story kinda reminds me of my days in National Service. 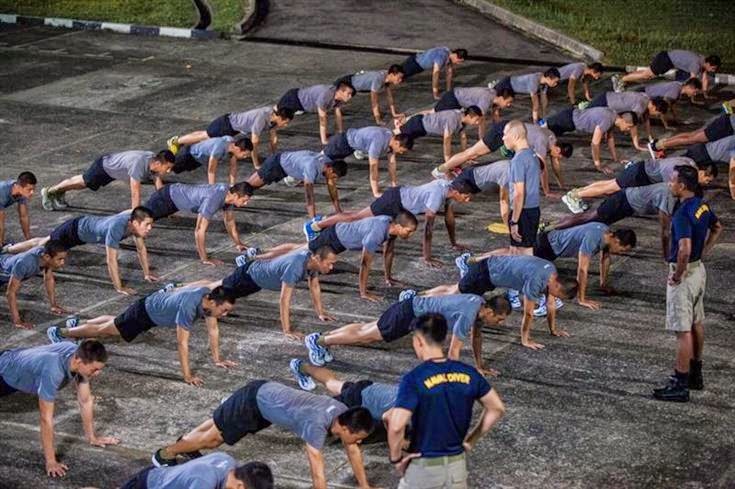 But certainly the physical and mental challenges here are not even 1% as compared to those in ABTM3! 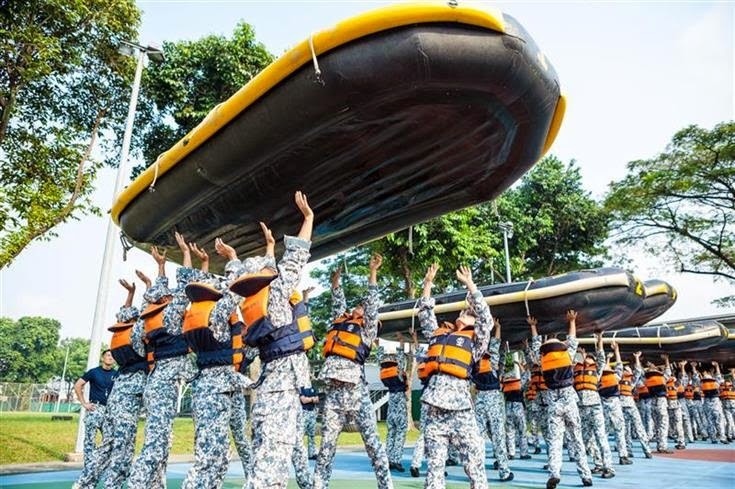 The previous ABTM 1 and 2 are all about Basic Military Training at Pulau Tekong, but now ABTM3 is bringing us to a whole new world called Naval Diving Unit (NDU), known as Singapore’s toughest combat unit. The appearance of new character, Hei Long (middle, in military uniform) starred by Hong Kong actor Wesley Wong, the son of veteran Hong Kong actors Melvin Wong and Angie Chiu (赵雅芝) definitely adds more sparks to the story! The cast came to Malaysia few days ago, and we managed to meet the original 'Ah Boys' --- Joshua Tan, Tosh Zhang, Maxi Lim and Wang Weiliang, who play characters similar to the ones they played in the earlier films, ABTM 1 and 2--- as well as new members of the casting family. Back to the movie. It's never easy to become naval divers in Singapore! Well, let's not leak too much of the storyline! Overall, ABTM3 is a well-plotted story of friendship, family, determination and love. Thumbs up to Jack Neo's efforts to include plenty of elements to crack up real good jokes (if you can understand Hokkien/Chinese) in the movie! Don't forget to watch the trailer before attacking the cinema!